Welcome to your beautiful new home! Built in 2007, this 4 bedroom, 2 bathroom, 2 car garage, split plan home is move-in ready and just waiting for you. Light and bright living room with gorgeous laminate flooring, overlooking the fenced backyard with a large concrete pad, firepit and quiet, no rear neighbors, conservation views. Kitchen features corner windows for lots of natural light, solid wood cabinets, granite countertops, stainless steel appliances, pantry, eat-in area plus easy laundry room and garage access. The spacious master bedroom has a walk-in closet and large en-suite featuring dual sinks, plus a shower and garden tub. 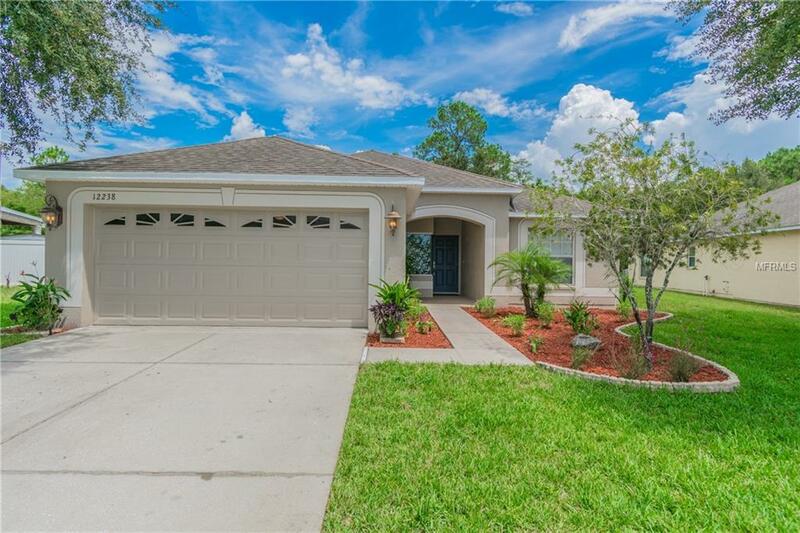 Updates and upgrades throughout include fresh landscaping, all new interior and exterior paint, new carpet in all 4 bedrooms, new garage door opener and coils, plumbing fixtures and so much more. The Verandahs is a gated community with a community pool, park and playground.